“Well what can I say, it was a pleasure to be reigned the British 100k champion at the end of March this year in a new PB of 7.53.57 and to top it off also recovered from a disastrous racing year in 2017 due to Glandular Fever and being picked up by Norman Wilson who now coaches me in the ultra distance and plans my training. 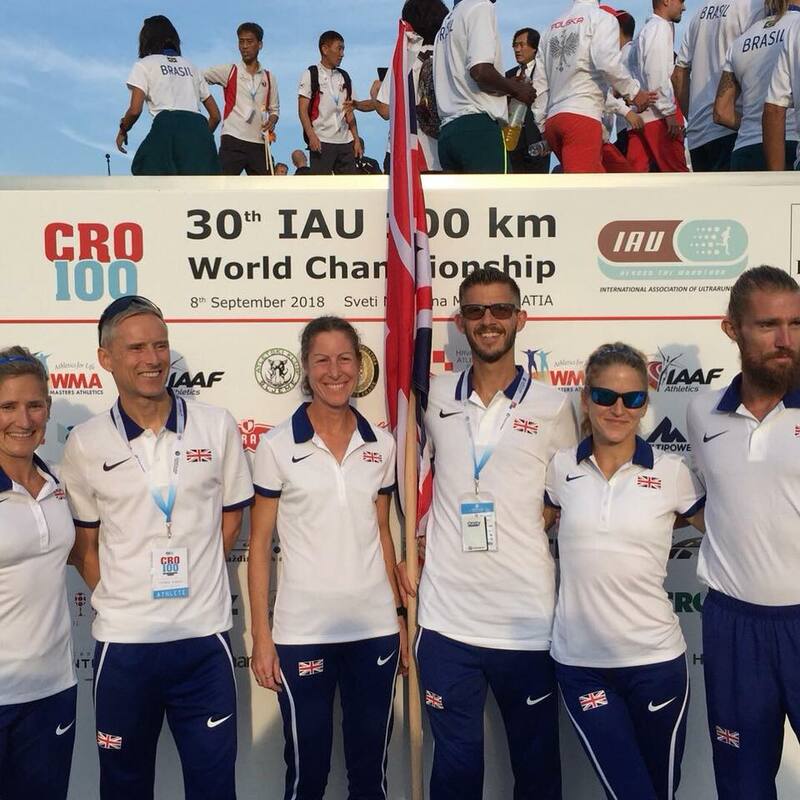 Some months later waiting with baited breath was the decision of selection for the World 100k Champs in Croatia for GB. Agonisingly this was delayed until after the Comrades in June so I decided to focus on a 24hr race in Belfast in preparation to get the selection criteria for 2019. Honestly, I cried and had the shakes mainly due to the privilege, overcoming illness, fighting strength to win the Anglo Celtic Plate and get my second selection. Over the moon doesn’t even come close especially when I am reaching my 40’s and always had a dream to represent my country in athletics. Then reality then sunk in.. Christ now training really starts, this in fairness was and still is my hardest distance to run due to pace and also being 62 miles on tarmac. At this stage we didnt know the course, we just knew it was in Croatia. The place for many years I have wanted to visit but wanted to ” earn it”. So there it was training started and then a few races in between but not mass load in top speed just very specific long runs of the back of all my races to make sure the endurance stayed. Without elaborating on the finer details too much, we flew out on Thursday 6th September, not great with my son going back to school but a great bargaining tool for football fans ( you won’t be happy) was a Croatian football shirt. My teenager was more interested in her new college and bringing back chocolate and a pending artic monkeys concert. The travel wasn’t without its bumps/hiccups, the Heathrow crew were okay, we had no issues but for Lee in Spain and Joasia ( Team Management) heavy delays and baggage loss. We were however fortunate to have a strong and well-known support team across other ultra teams with John Pares, Adrian Stott ( Trail) and Joasia Zakrzewski( Ultrarunner for 50,100k & Trail). The location in Sveti Martin ( about 1.5hrs from Zagreb) was very remote, we soon got to see the roads we would be running on watching the South Africans who had already arrived. Yes it wasnt flat it was up and down, but hey we all had to run it and not like the UK the service lacked the usual potholes galore. Being teamed up with Clapham Chasers, Carla who has an amazing top 10 finish at Comrades we ran the course a few days prior and until the day pretty much vegetated. The race was very early at 7am ( 6am UK) but the benefit due to the humidity was definitely our saving grace for the early few hours. Onto the race itself, the GB team ( Ant Clark, Rob Turner, Lee Grantham, Carla Molinaro, Sue Harrison and myself) set ourselves in the calling room a few minutes before the event, nerves sitting with me, the stress of the commitment and expectation that D-day finally came. 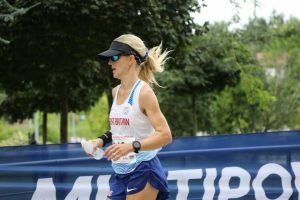 My plan was always to run my own race, my coach and I changed the planned paced on the course and I was cracking though upto 40 miles then the last 22 miles in the humidity, rolling hills became very challenging. This was the same for many apart from the Japanese who started to work through the field and end with winning the team prizes and multiple podium finishes. 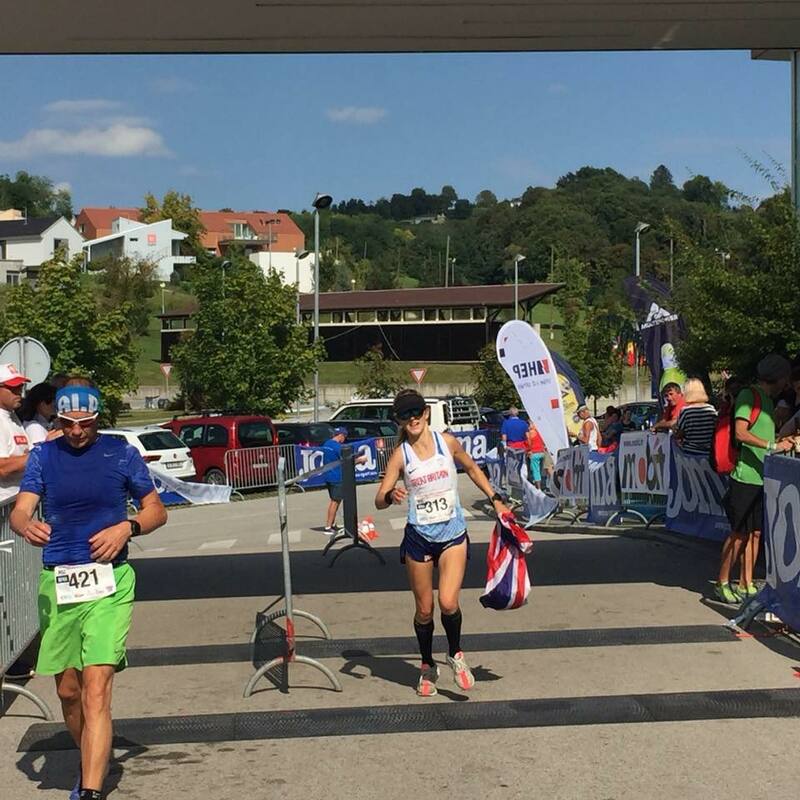 I was determined however to finish, change my race strategy and aim for top brit in the team. Whilst my performance dipped in those latter stages, so did the PB opportunity. From the positive takeaways, I came through in a very respectable 15th in the World Champs with a time of 8.01.11, first lady for Great Britain and delighted another championship under my belt. I won’t deny, craved to make that top 10 but take positivity from still having the lead British 100k and 50k time for 2018, I felt my race nutrition, minimal aid station time, proper toilet stops all worked as a benefit. To change for the next time would be more hill training, strength work, and heat acclimatization, a lot of what could not be predicted until the race weekend. It’s like an anti-climax now, such a great experience but left wanting more and thinking ” what’s next? ?”… apart from recovery.